Lightweight construction gives this shock tower incredible stiffness and durability. Strong metal alloy for maximum performance. Add strength, toughness and power to your . 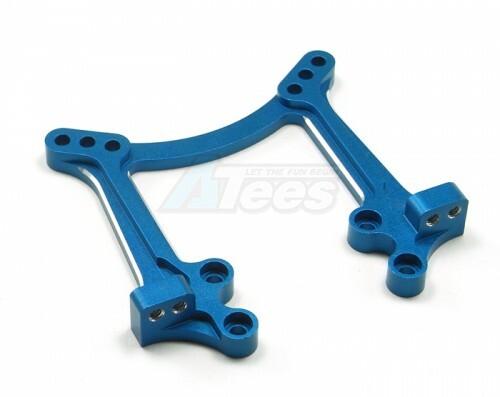 The Team Associated RC10B4 Aluminum Front Shock Tower Blue has an average rating of stars based on 31 customer reviews.